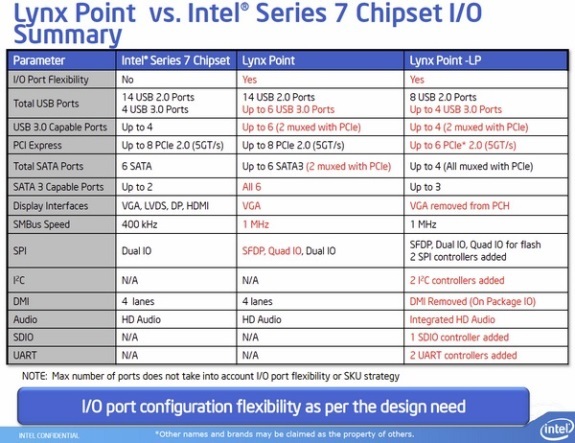 Intel is working on the Haswell-ULT, a special low-power variant of Haswell with a redesigned package to accommodate the PCH silicon and new, additional C-states that drop the processor's base clockspeed from 100MHz to 24MHz. The 24MHz base clock is activated by the three new C8, C9 and C10 power states to reduce idle power consumption. 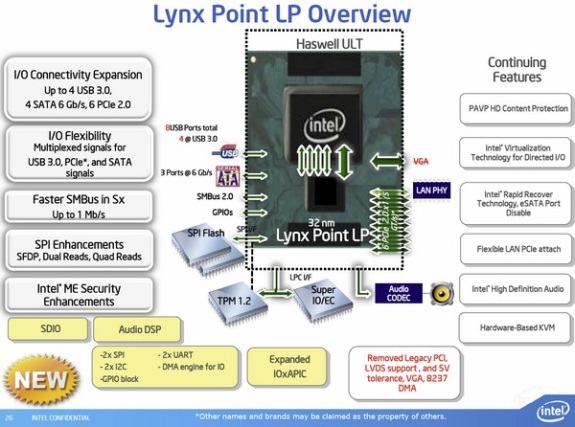 Another change is that Haswell ULT is a multi-chip module, it features the Haswell ULT processor and the Lynx Point LP chipset on the same piece of PCB. Full details at TPU. Another major change, which is a step towards building a true high-performance SoC, is the Haswell-ULT package. 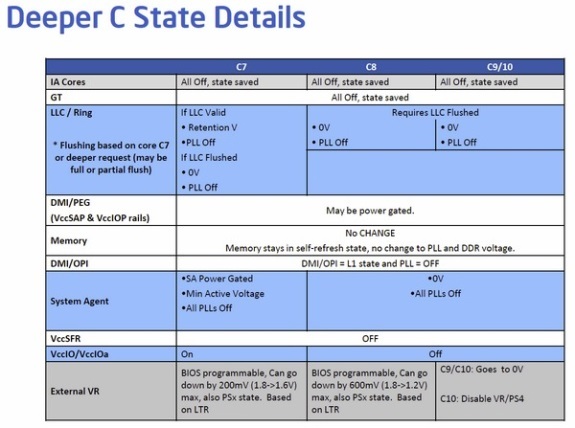 The package is a multi-chip module (MCM) of the processor die and the PCH (platform-controller hub, or the chipset). One shouldn't confuse this with Core "Clarkdale" processors, which were MCMs of a dual-core CPU silicon, and a GMCH (graphics memory controller hub). The CPU silicon of Haswell-ULT includes up to four x86 cores, three levels of cache, integrated memory controller, integrated graphics, and a PCI-Express root complex. The PCH silicon includes all platform interfaces, including SATA, USB, SMBus, gigabit Ethernet, and HD audio. Think of PCH as being a glorified southbridge.